I’m writing these words from my bed, as my wife looks on disapprovingly at the noisy interruption of our customary pre-sleep reading hour. 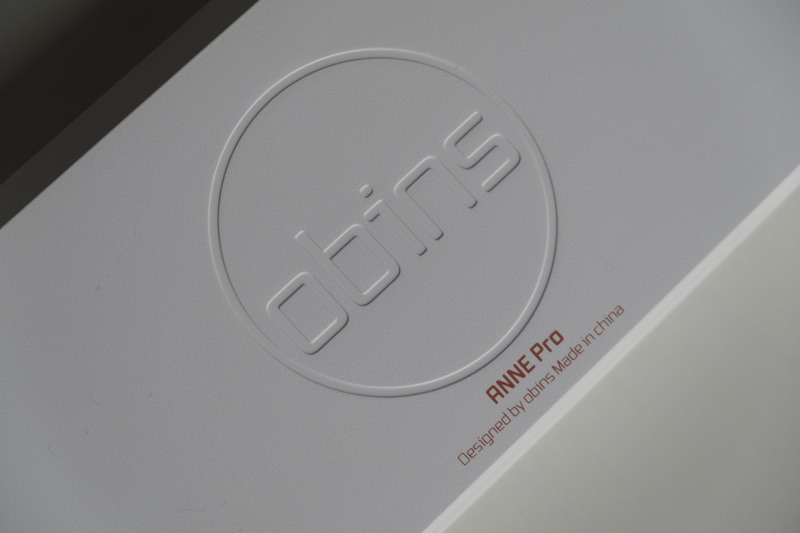 I’m using the Obins Anne Pro, a wonderful little keyboard. It’s mechanical, it has a compact 60% size layout, and it connects just as happily to a phone or tablet via Bluetooth as it does to a PC with a USB cable. And of course, as this is 2017, it also can light up in all of the colours of the rainbow with programmable per-key RGB backlighting. Let’s take a closer look in our full review. 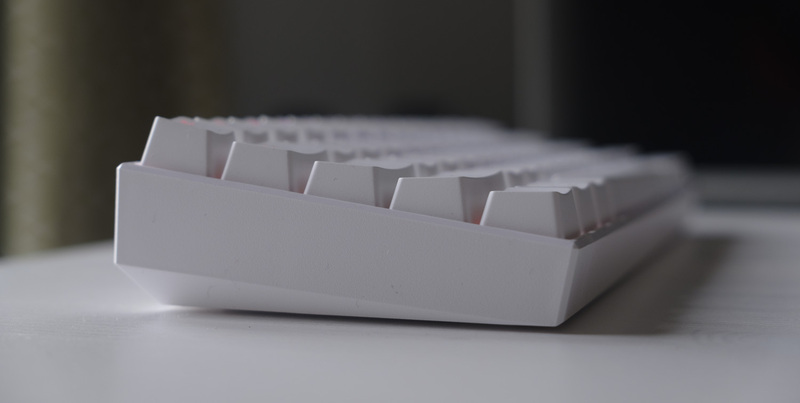 The same attention has been paid towards its keycaps, which are made from PBT to provide a comfortable and incredibly long-lasting surface that won’t wear away or become slick and shiny over time. Its legends have been carefully stencilled on each key, allowing the SMD LEDs embedded in each switch to shine through in any colour you care to imagine. 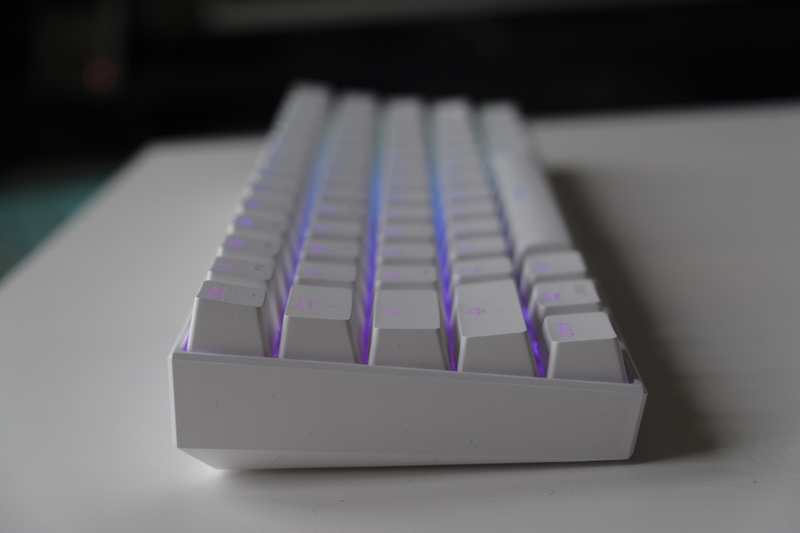 Even without a rainbow dancing along the keyboard, the Anne Pro is a stylish and eye-catching keyboard — particularly in the stark white colourway we’re testing. The keyboard is a 60% size keyboard, meaning it omits several groups of keys — there are no F keys across the top, no arrow keys, no navigational keys and definitely no number pad. These physically absent keys are instead accessible via a function key in the lower right, labelled Fn. For example, you can press Fn + WASD to use the directional keys, Fn + 1234567890-= for F keys, Fn + \ for Print Screen and so on. The keyboard itself can also be adjusted using this Function layer; you can turn the backlighting on and off with Fn + R, connect to Bluetooth devices with Fn + B, switch lighting modes with Fn + U and so on. Each of these functions are labelled on the keys with text rather than an abstract symbol, so finding the right key isn’t too difficult. 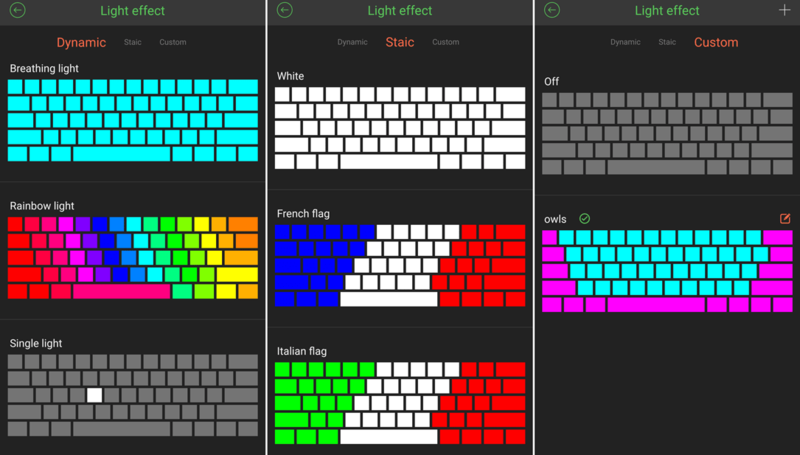 If you don’t like the layout, you are of course free to change it using the Anne Pro’s software on Android, Mac or Windows — and that’s what we’re going to examine in the next section. The benefits of the 60% form factor is that you get a much smaller and lighter keyboard, which fits well with its Bluetooth capabilities. You’re still going to look a little weird pulling out your keyboard on the bus, but at least carrying the Anne Pro with you isn’t going to do your back in. Smaller keyboards are also a little more ergonomic, as you can rest your mouse more in line with your shoulders rather than way out to one side. 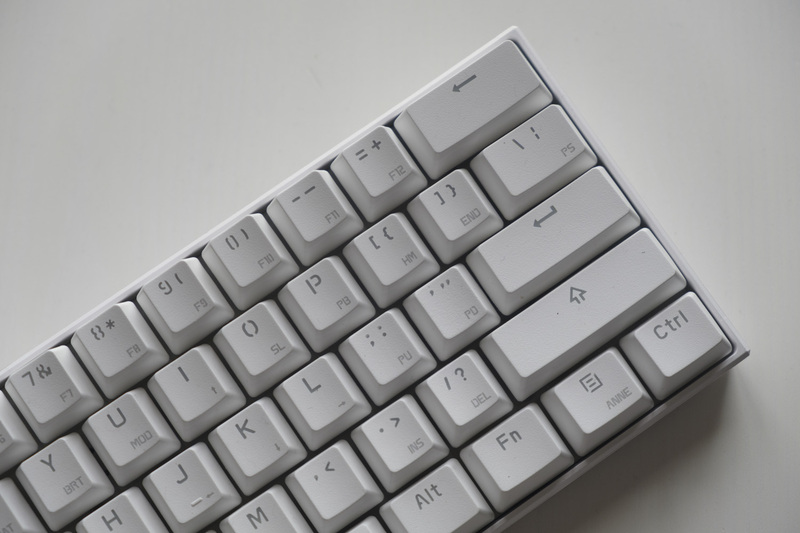 Finally, 60% keyboards just look cool — they’re obviously different than full-size keyboards in a way that TKL keyboards aren’t, and it looks neat to have so many keys packed together without any noticeable divisions. The Anne Pro can be adjusted somewhat using just the keyboard itself, but for real customisation you’ll need to install an app. A fan-made app is available on Windows 10 (above), but do the real heavy lifting you’ll need the iOS or Android mobile app. I used the Android app for my testing, as I don’t have access to an iPhone at the moment. This app is a little rough around the edges, with frequent typos in the English version, but you can still accomplish a lot. There are four button profiles (‘alignments’) out of the box: A standard variant (every key does what it says it does), an alternate version with directional keys in the bottom right, a Mac layout and a custom layout (by default, the same as the first layout). I liked the alternate layout (#2) with the directional arrows, but it ditches the Windows key and I like to have that around — so I decided to customise that fourth alignment into my ultimate layout. Making a new alignment is easy — you start with the default layout, and just tap on each key in turn to remap it. There are some (sensible) restrictions — you must always have a Fn and Anne key defined, for obvious reasons — but otherwise you’re free to remix your keyboard as you like it. 60% keyboards always involve some degree of sacrifice as you just don’t have enough physical keys for everything, but the flexibility of the Anne Pro makes this process as painless as possible. I’ve been using this arrangement for a while and it suits me down to the ground. Not having a question mark on the first layer is a bit of an annoyance, but who uses question marks anyway? The other major adjustment you can make with the Obins app is backlighting. You can choose from several static or dynamic colour schemes built into the keyboard, and you also have the option to define your own static scheme — custom dynamic schemes have been “coming soon” for a while. You can save as many lighting schemes as you like, and switch to them rapidly using the app. Here’s a demonstration by Ryvaeus on Reddit — pretty sweet, right?! At the moment, I have the keyboard set up to have pink modifier keys and teal alphanumerics — very pretty. Getting used to the Anne Pro isn’t as easy as it could be. The box gives you the basic key commands, but the advanced functions are written in Chinese — not helpful. 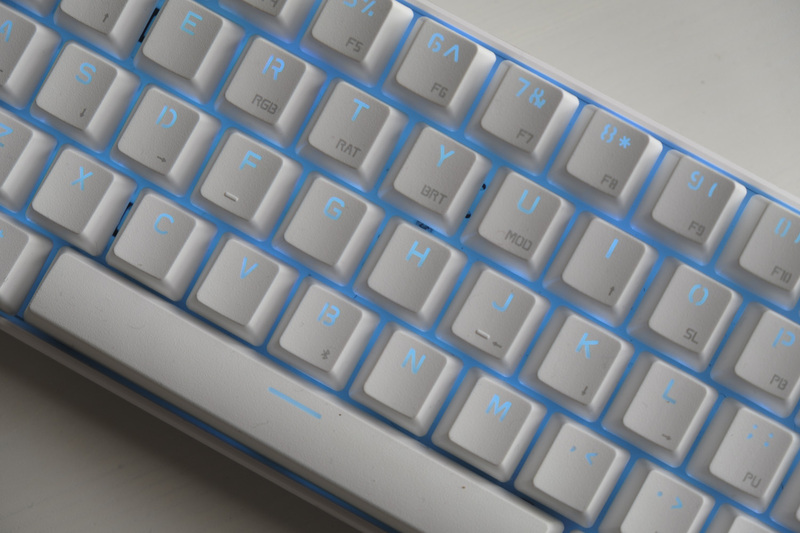 Things get a bit easier if you look online, as the AnnePro subreddit has done a great job collaboratively explaining the keyboard’s many functions. With these guides in hand, I set out to use the keyboard for a one week period with three devices: a Note 8 smartphone, an XPS 15 laptop and the recently reborn XSR test rig. The overall typing experience on the Anne Pro is, as always with mechanical keyboards, quite dependent on the switches that you choose. Our model came with Gateron Brown switches, which provide a nice mixture of tactile feedback, low noise and easy actuations. These are a nice switch for beginners, but as always it’s a matter of taste. (You can learn more about mechanical switches in the KeyboardCo guide right here.) You can also get the Anne Pro with red or blue switches, which are soft and linear or hard and clicky, respectively. The keycaps also deserve special mention. The PBT material they’re made from feels really nice under your fingers, and it doesn’t wear away like the cheaper ABS alternative. I’ve used PBT keycaps on my work keyboard for perhaps three years now, and none of the keys have exhibited any wear at all. Presumably, the Anne’s keycaps will be similarly long-lasting. It’s also worth noting that the Anne Pro has a standard 61-key US / ANSI layout with a 6.25u spacebar, so finding replacement keycaps is easy enough. Personally, I love the combination of the backlighting and the PBT material, so I’m happy to keep the stock keycaps installed for the foreseeable future. The smaller size of the Anne Pro means that some keys you might want to use regularly aren’t accessible without holding the Fn key first. For me, these keys were Home and End, which I often use when writing and editing, but I eventually grew used to pressing an extra key to find them. For gaming, the Anne Pro was more than sufficient; the only minor annoyance was pressing Fn + Escape to enter the console in Counter-Strike. Thankfully, that’s not something you need to do often, and this is easily remapped to a different key if necessary. The small size of the Anne Pro means that you get plenty of room for your mouse pad, and if you play games at a low mouse sensitivity like I do then that’s great news. Having a smaller keyboard allows your mouse hand to be more in line with your shoulder, and that can make a big difference to your long-term comfort. The small size also meant that I could keep the Anne Pro in my bag when I wanted to use it with my laptop or smartphone, without being too weighed down. The Anne Pro is definitely more than pocket-size, but if you care enough about writing then having a compact mechanical keyboard makes a lot of sense — particularly if you’re forced to use a cramped tablet or laptop keyboard each day! In terms of battery life, I found that I generally needed to recharge the Anne Pro each day if I kept the LEDs on. This wasn’t an issue for me, as I had plenty of Micro USB chargers around (including the recently-reviewed Xtorm XB202), but it’s worth keeping in mind if you will be operating far from power outlets and/or portable chargers. Bluetooth connectivity was generally strong. Each of my devices had Bluetooth built in, so getting the keyboard connected wasn’t an issue. 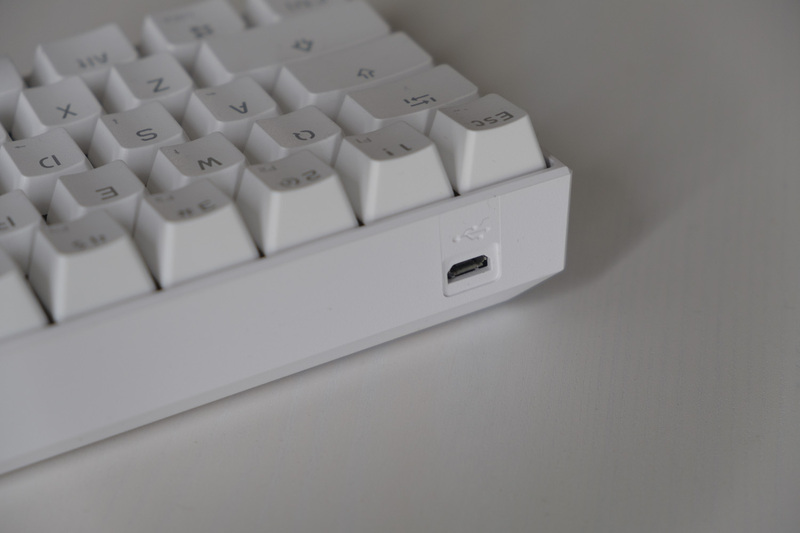 (The Anne Pro also comes with a Bluetooth dongle, which is handy for desktop PCs without Bluetooth.) The Anne Pro tended to remember the pairings I had saved, and the use of LEDs to show which layout was active is a clever choice. Finally, it’s easy to see from this review how much fun I had writing on the Anne Pro. We’re nearly at 2000 words now, and I’m still tempted to keep writing whenever I have a spare moment. Now that’s the sign of a good keyboard! 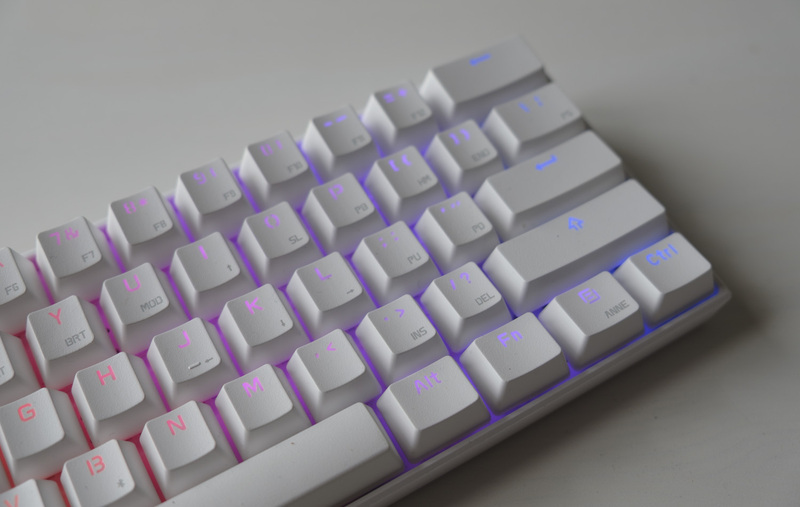 The Anne Pro is a great-looking keyboard that’s fun to use and modify; it’s easy to see why it has such appeal amongst mechanical keyboard fans. It’s the perfect introduction to the 60% size form factor, and at around $60 / £60 it’s also quite affordable given its excellent build quality, powerful software and stylish appearance. Thanks to GearBest for providing our Anne Pro sample. 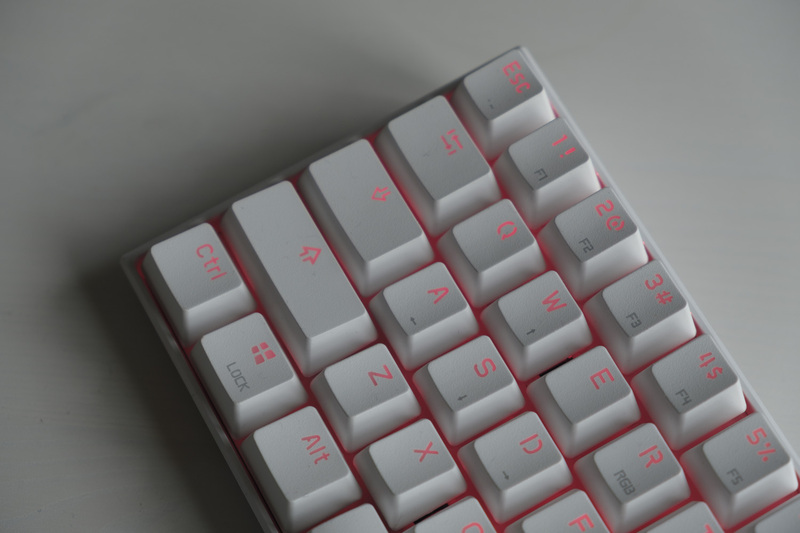 You can get the Anne Pro from them in black or white colourways and a choice of red, blue or brown switches via the link below. 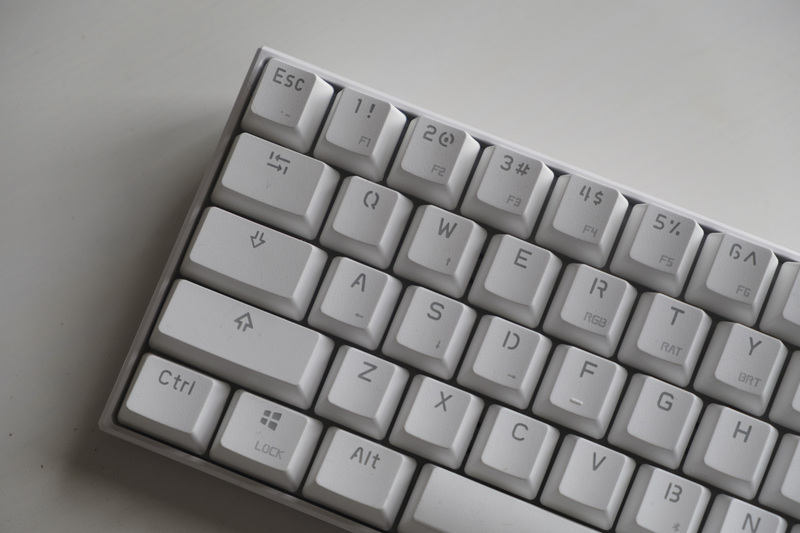 If you do pick up the Anne Pro, you may find it useful to check out the excellent fan-made Anne Pro Wiki here, or read the quick start guide by /u/kawarazu. Thanks for checking out the article, and let us know what you think of the review in the comments below! The price is super reasonable for what it is! If that’s the best 60% keyboard that you ever used, then that’s actually really sad.